I have a required field named "Address" that is showing up when a customer choose "Check" within the payment method menu. 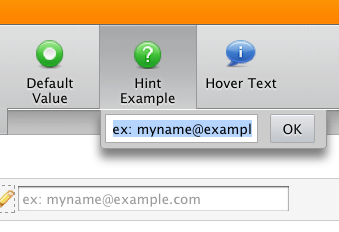 That's how the "Hint Example" works. 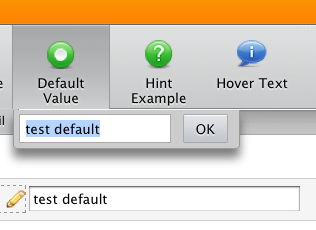 What you want is "Default Value".